Radio-frequency identification (RFID) is a technology that uses radio waves to transfer data from an electronic tag, called RFID tag or label, attached to an object, through a reader for the purpose of identifying and tracking the object. Some RFID tags can be read from several meters away and beyond the line of sight of the reader. The application of bulk reading enables an almost-parallel reading of tags. The RFID Solution is a revolutionary application of automatic identification and data capture (AIDC) technology. In an office environment, RFID technology resembles a traditional barcode system in that it provides a means of assigning an ID to an item and reading that ID to perform circulation transactions or to take inventory. But while RFID technology resembles a traditional barcode system in application, the RFID Solution is far superior in performance-plus it offers built-in security. Reader - Device that interacts with RFID tag, it has an antenna that emits radio waves; the tag responds by sending back its data. Host PC - This is where the corresponding application programs run. Whether it is tracking inventory in a warehouse or maintaining a fleet of vehicles, there is a clear need for a fully automated data capture and analysis system that will help you keep track of your valuable assets and equipment. 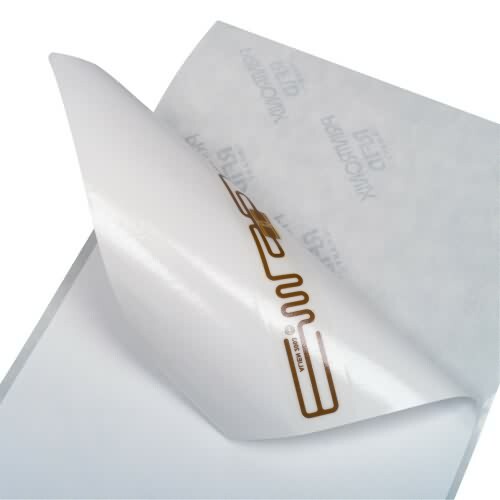 RFID technologies provide unique solutions to difficult logistical tracking of inventory or equipment particularly in applications where optically based systems fail and when read/write capabilities are required. This technology is stable, and evolving, with open architectures becoming increasingly available.